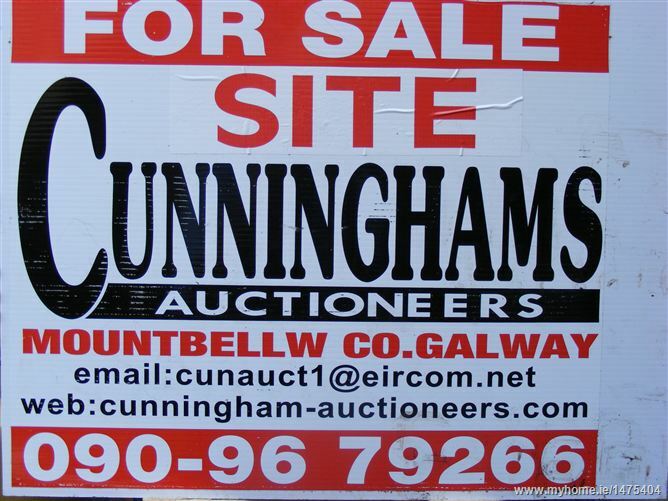 Attractive site with Full Planning Permission for 2 Storey Residence and Garage/Fuel Shed, situated just off the Galway/Roscommon Rd., in a lovely scenic area. Just five minutes drive from the market town of Mountbellew. This site is very keenly priced to reflect todays prices and is real value for money. The owner will also Develop the site ie. fencing planting and leave it ready for Building. Planning Permission extended to 2017.